It’s so common as to be a stereotype in the fitness industry. Trainers are fit, ripped, energetic ambassadors of the fitness lifestyle. They can lift the big weights and perform awesome feats of athletic prowess. As a matter of fact, most trainers were doing this since they day they started training professionally. And most much before that. Most trainers, especially the kind mentioned above, started by knowing how to train…themselves. They most likely have come from an athletic background, and entered the fitness field because they loved working out. Most are above average genetically and are self motivated fitness machines. These folks, as they say, walk the walk. Which is important in its own right. When asked what clients value most in a personal trainer, a trainer who is fit themselves is a top answer in almost every survey I’ve seen on the topic. This can be motivating to a client, and it sends a message that the trainer lives what they preach. They walk the walk. Part of talking the talk is sharing the thought process behind your clients program. The “why” of the workout. This being said, walking the walk is not enough. In my 16 years as a professional in the industry, I’ve seen TONS of trainers and gym influencers walk the walk, but can’t talk the talk. It’s one thing to train yourself, the one person who you know more intimately than anyone else on the planet, to reach your own fitness goals. You, who love fitness so much you spend the majority of your free time engaged in fitness related activity, and have chosen it as a career. The thing is, as far as fitness goes, you are not the average. You definitely aren’t the typical client. With that noted, what is talking the talk? It starts with a fundamental understanding of anatomy and kinesiology. It’s understanding physiology and basic human movement. It’s identifying when movement is off, and understanding why. But most of all, it’s being able to communicate these things in a way clients understand and can relate to. It’s really about taking the right information, catered for the right person, and teaching it effectively. This is the difference between the 90% of coaches who simply walk the walk, and the outstanding 10% that do both. This requires, first, a lot of experience. Observe coaches and trainers who do this really well. 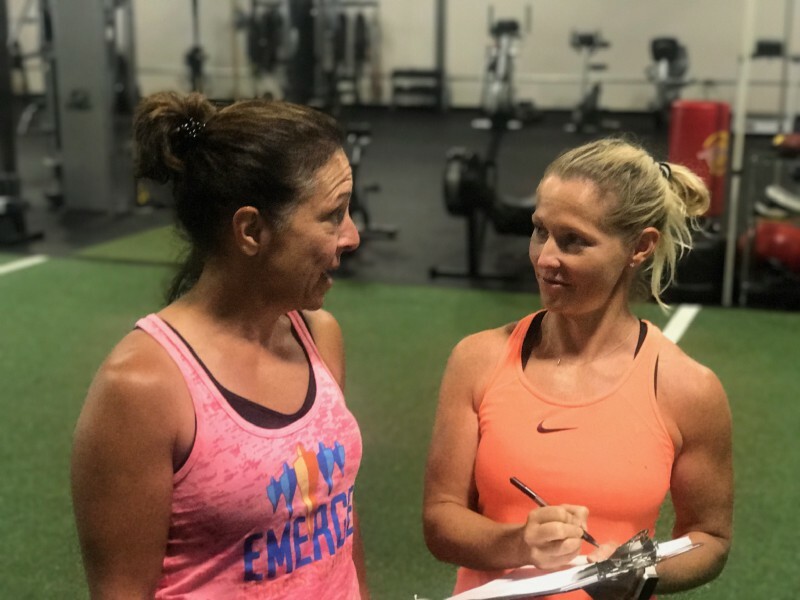 You’ll see that these professionals have developed the ability to really listen to what their clients are telling them, and then devise fitness strategies appropriate for those people. And be able to talk the talk.